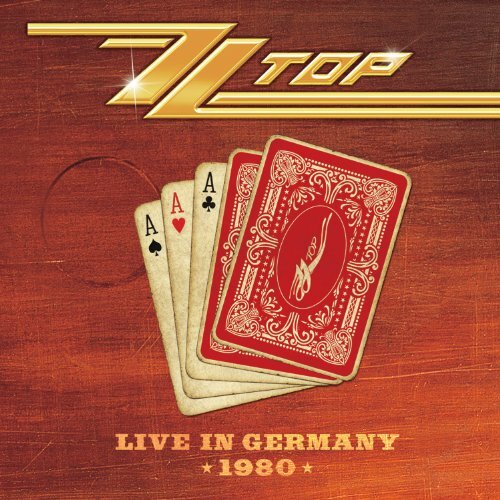 ZZ Top, that little ol’ band from Texas, brought the thunder for their concert in Essen, Germany in 1980. The concert was originally filmed for the German television show Rockpalast and then released on DVD in 2009 as “Double Down Live.” The tour was in support of their 1979 album “Deguello” and featured several track off of it. This CD shows when ZZ Top was at their best and rocked hard. It was before their MTV days with all of the synthesizers. They brought their funky Texas boogie to Germany and stunned the crowd. This CD features the massive hits “La Grange,” “Tush,” “Cheap Sunglasses” and many more. Dusty Hill, bass and vocals, gives energy to the band on stage. He can get down low with the bass and gritty with his vocals. Frank Beard also gave a splendid performance on the drums. While the original concert was 22 songs long, this disc only features 15 of them. Some of their biggest hits were omitted from this CD, like “Just Got Paid,” “Tube Snake Boogie” and “I’m Bad, I’m Nationwide.” They easily could have fit them onto the CD to fill the 80 minute capacity. But it is still a must have for any ZZ Top fan.